Vishwa Hindu Parishad patron Ashok Singhal passes away at a hospital in Gurgaon due to multi organ failure; Cremation to be held on Wednesday; PM Narendra Modi, other leaders pay tribute. He passed away at Medanta Hospital in Gurgaon on Tuesday. Union Home Minister Rajnath Singh has expressed condolence at the demise of Ashok Singhal. BJP Spokesperson Meenakshi Lekhi also expressed the party’s heartfelt condolences on Ashok Singhal’s demise. 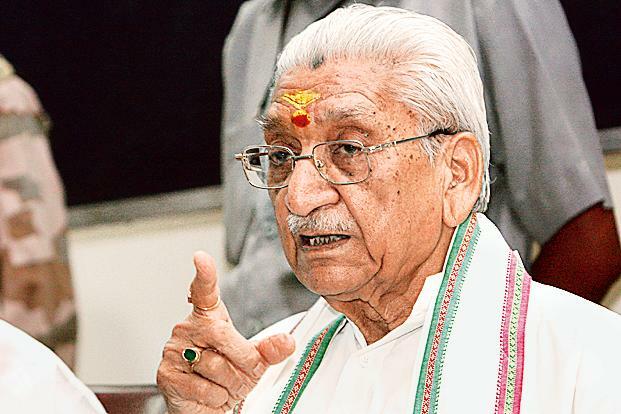 Senior BJP leader Murli Manohar Joshi also condoled the demise of Ashok Singhal. He recalled his contribution in nation-building. RSS ideologue M G Vaidya also condoled the death of Ashok Singhal.